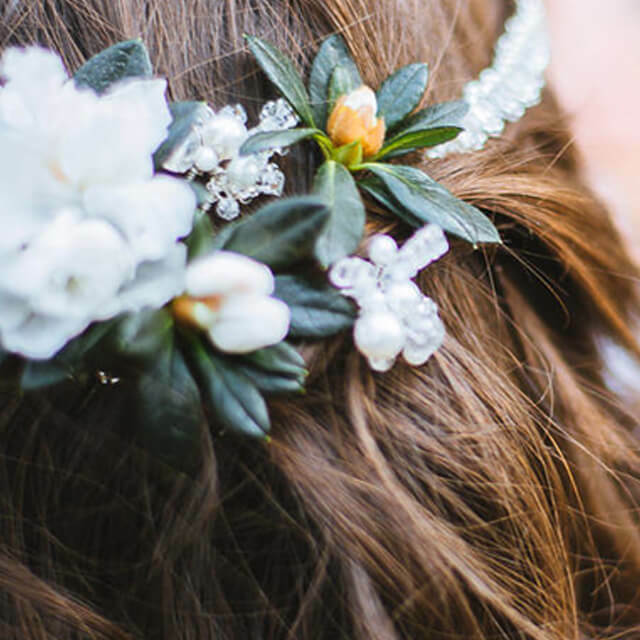 The desire for flower hair accessories is unbroken by brides, even after 3 years. As a professional bridal stylist I like to share my experience and give some tips. 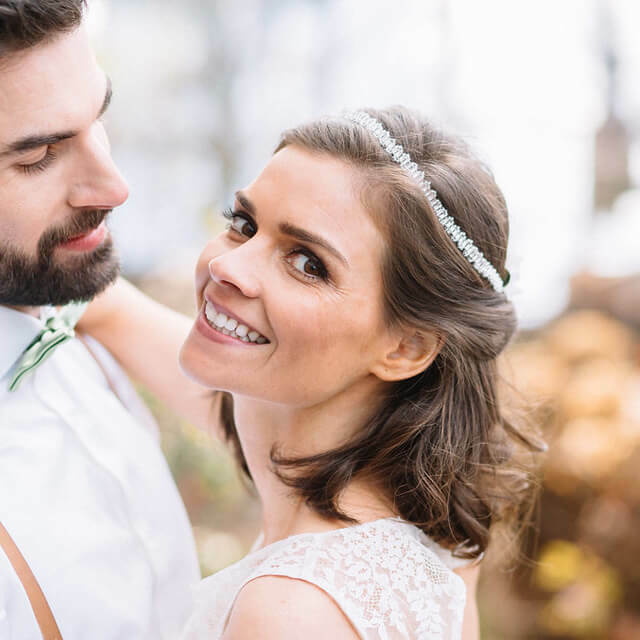 In the first part, you can learn more about the basic considerations of how to use flowers as hair accessories on your wedding day and what you should be aware of. In the following second part I go to the flower selection and other beautiful ideas.  What should you look for when choosing flowers? Nothing beats flowers! They are true masterpieces of nature and just beautiful to look at. But to get a complete bridal look you should choose the right flowers, because not all are recommended for use as hair accessory. When I’m booked for a bridal styling and the bride wants to wear flowers as a hair accessory, I insist that we can work with fresh flowers at the trial. Why? Unfortunately, many brides plan often to wear flowers that are not suitable for the desired purpose. Once real flowers are cut off, the countdown begins. Without water this runs even faster. A quick withering is unfortunately often preprogrammed. 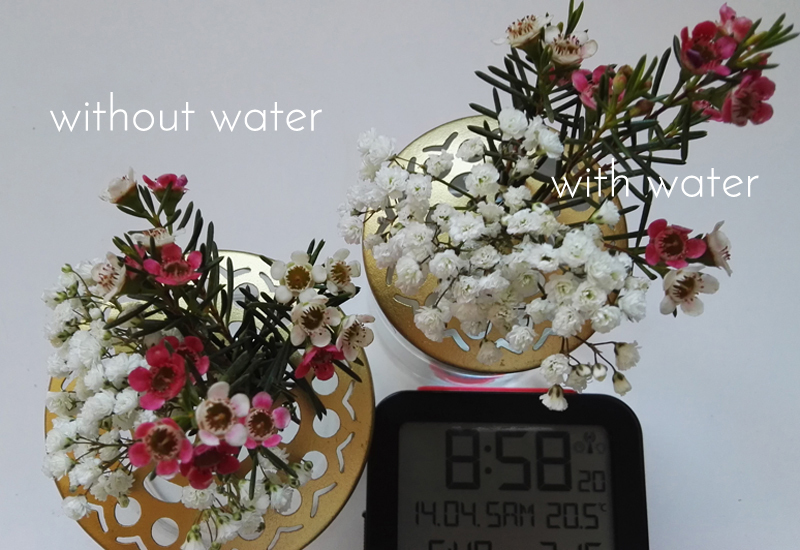 Many types of flowers are still pretty good in the vase, but at the latest when the flowers are in the hair, you can not provide them with water. Spraying water mist may be a refreshment for the flowers, but the hairstyle will suffery. Also, it’s not possible to install a “small” water tank in the hairstyle. There will be space and it will be quite uncomfortable for the bride. 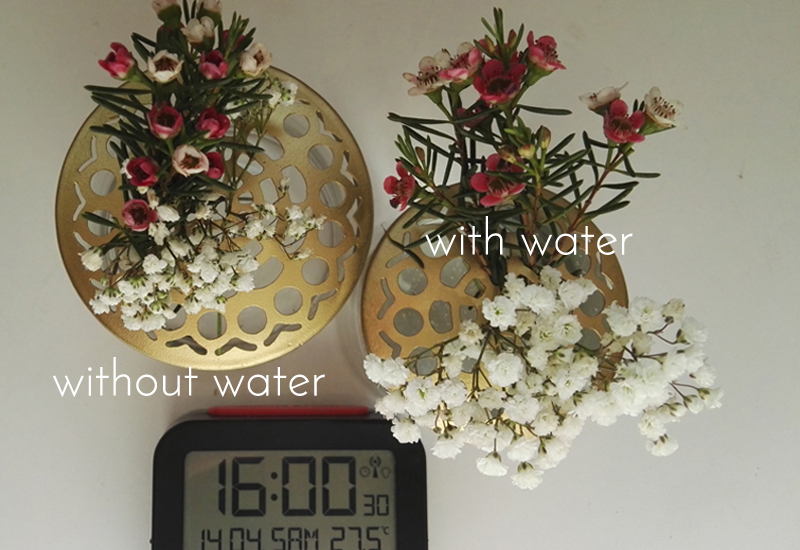 Hot or cold temperatures increase the effects of water loss. 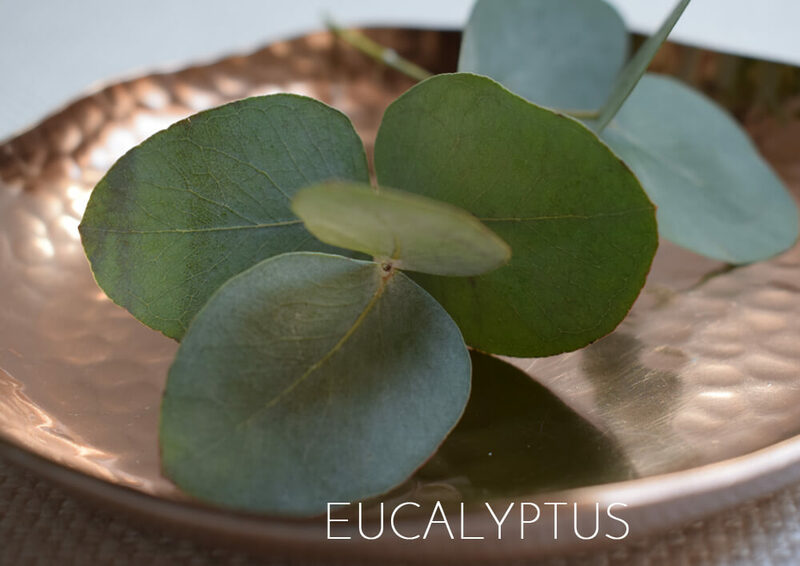 On a hot summer day, the remaining water content evaporates in record time and can quickly become noticeable. But even icy temperatures make it difficult for the flowers and cause them to give up within a few minutes. 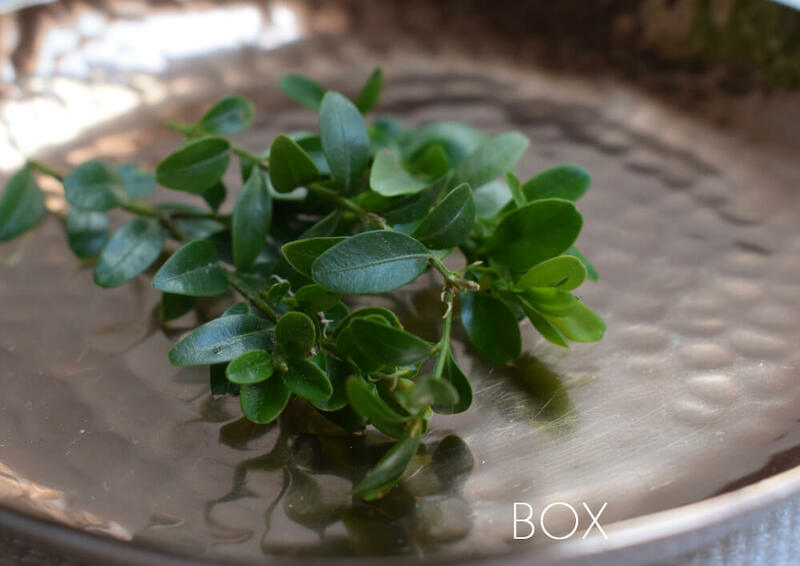 Individual stems are inserted as deep as possible in the hairstyle. An additional secureing with hairpins is usually not possible at all. Another problem is that the stems must not be too short, otherwise there is no stability. On the other hand, if they are too long, they will make you look ugly in the hairstyle. Too large or too heavy flowers (such as roses) should also be treated with caution, as the flower head often has a tendency to tip over. 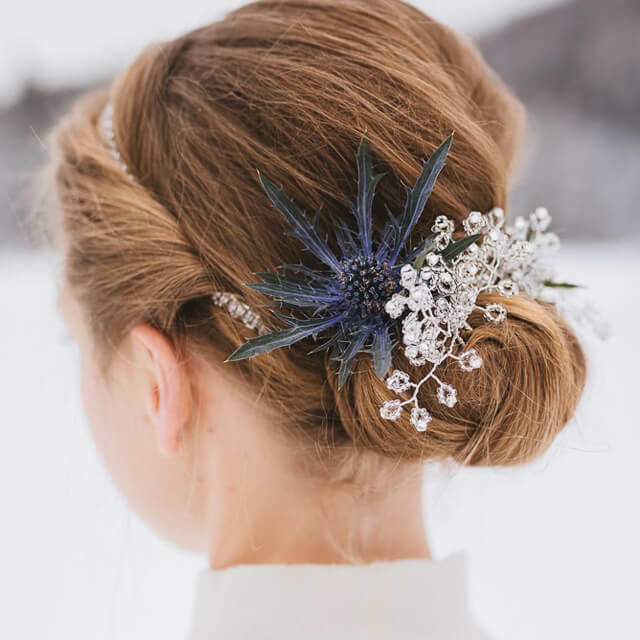 Flower arrangements attached on a hair comb can also flipp if it’s to lare or to heavy. The upper part with the flowers can not be stabilized and if the hair comb has to long prongs, it’s almost not possible to hide. Too often, the wreaths are bound very lush and are therefore quite difficult for the bride and overlay the hairstyle. These, too, can not usually be fixed with additional hairpins – unless the florists think ahead and add eyelets or loops accordingly. These should not be too big, otherwise no firm hold is possible. Don’t get me wrong: I’m a big fan of flowers. However, I’ve already seen so much in my work, which was not optimal for the bride and I would like to support others with my experience. 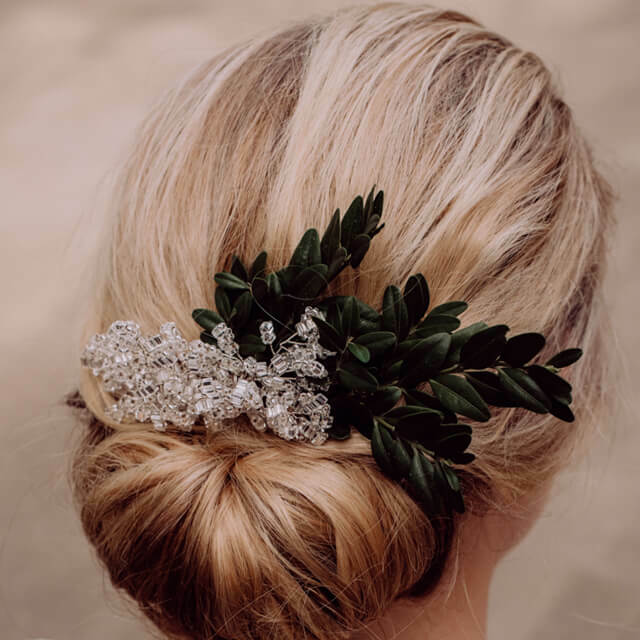 The only way to determine if your desired flowers are suitable as hair accessories,is to try them out before the wedding. 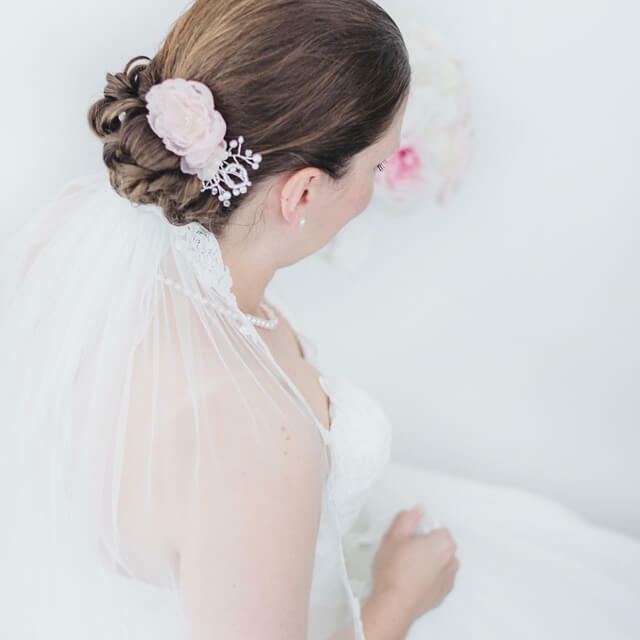 First of all, it’s important to find out whether single or loose combined flowers, a flower wreath or floral arrangement can be combined with your bridal hairstyle and you like the result. 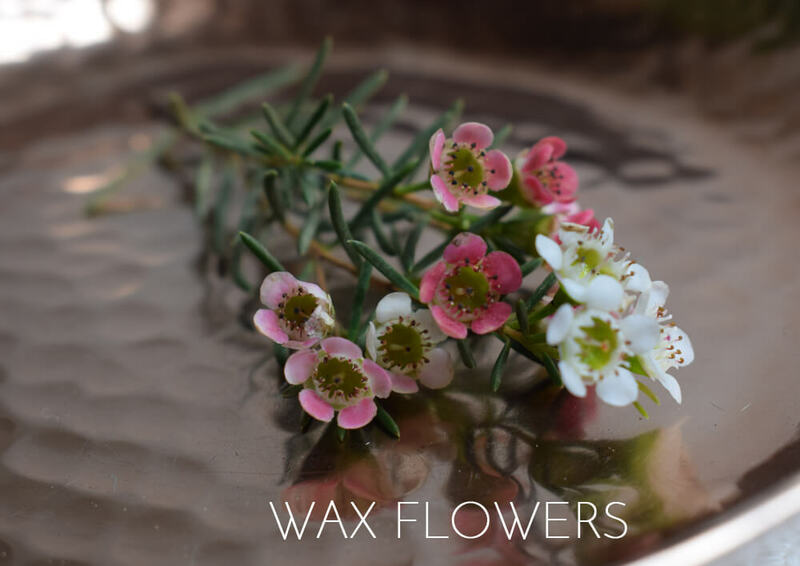 Therefore, it is so important that your desired kind of flowers are included in the trial session..
On the other hand, it is also useful to determine how the flowers will behave without water. 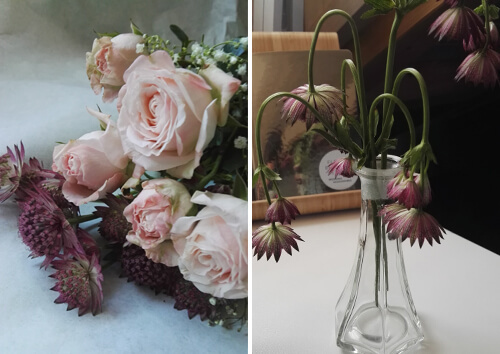 Will they survive a wedding day or hang the heads after a short time, close the flowers or maybe dry them up completely? What should the bride think about? When is the styling scheduled (in the morning, at lunchtime, in the afternoon or in the evenings)? When is the ceremony planned? And when is the couple shooting planned? Would it be ok for you, if the flowers only last half a day? 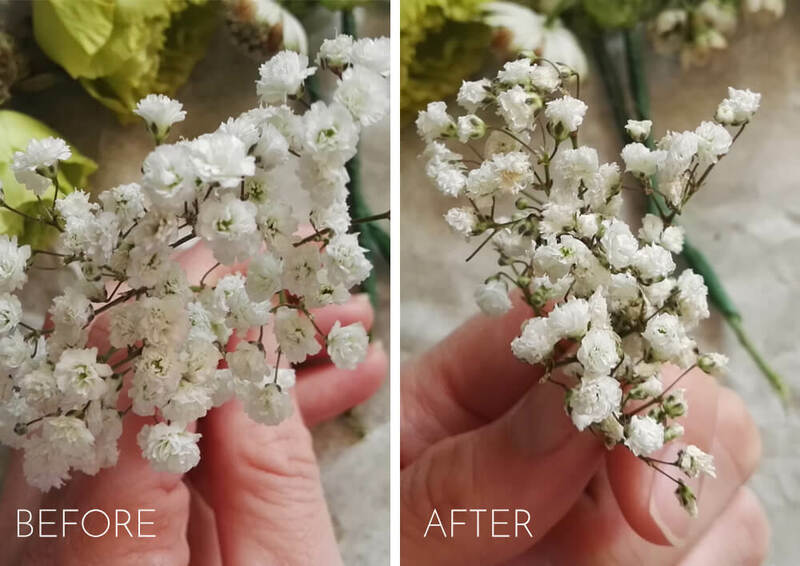 Or would that bother you if the flowers start to whiter and just don’t look fresh like after the styling?? Maybe you prefer a compromise or an alternative? Are there alternatives? Yes, sure! Maybe you are someone who loves flowers and would like to use it for your bridal look. But you don’t like the above named challenges and prefer to rely on your hair accessories? 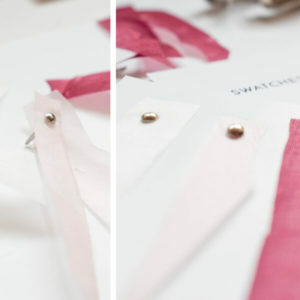 Then a hair ornaments made of pearls and / or silk fabrics might be a suitable alternative for you. Personally, I’m a big fan of wire-based hairpins. They are easy to insert and can usually be integrated invisibly into the hairstyle. Due to the flexible base, the shape can still be slightly adjusted and used optimally in the hairstyle. Hair combs provide an optimal hold for an arrangement of individual elements. The advantage is obvious, you do not have to place individual parts in the hairstyle but only one. 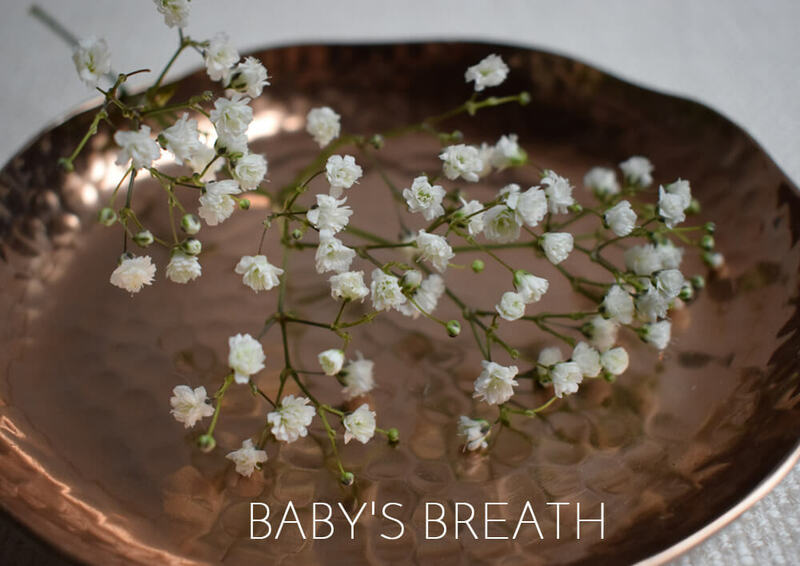 If you think the idea of ​​a flower wreath is beautiful, but too massive or perhaps too unstable, wire hair bands or hair wreath may be an option. 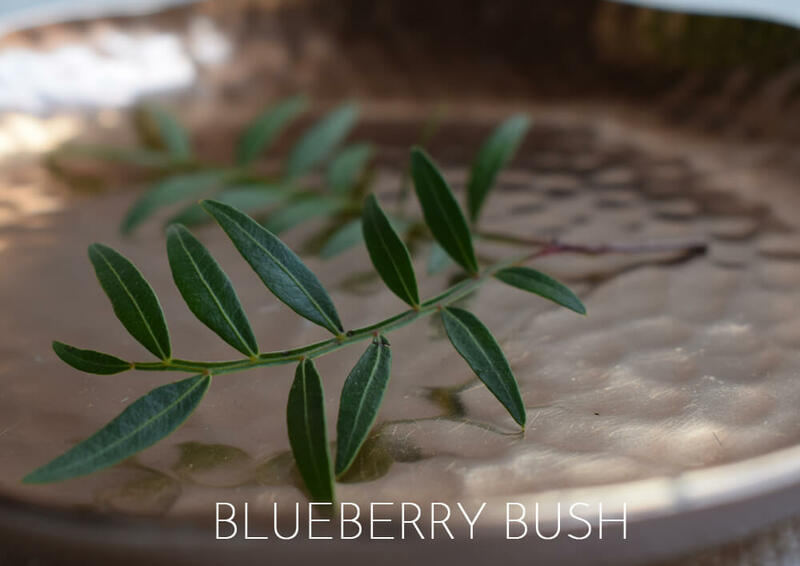 These are available in a variety of designs and are available from discreet to opulent. 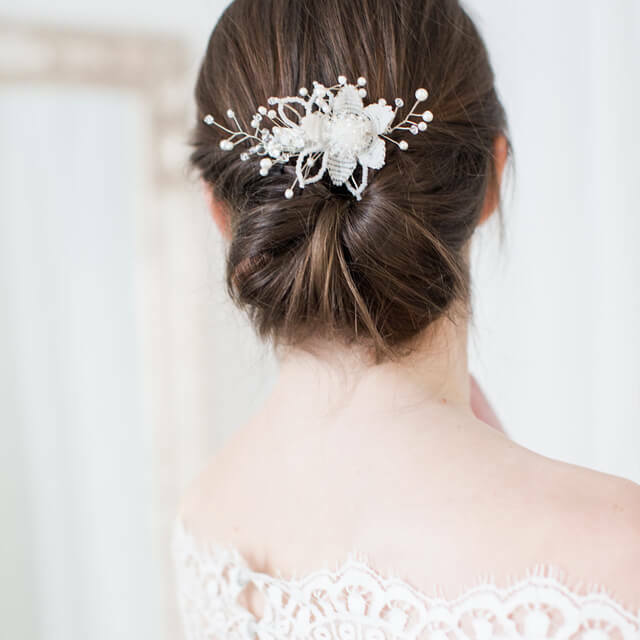 A wedding day is usually long – so I generally recommend the lightest possible hair jewelry. 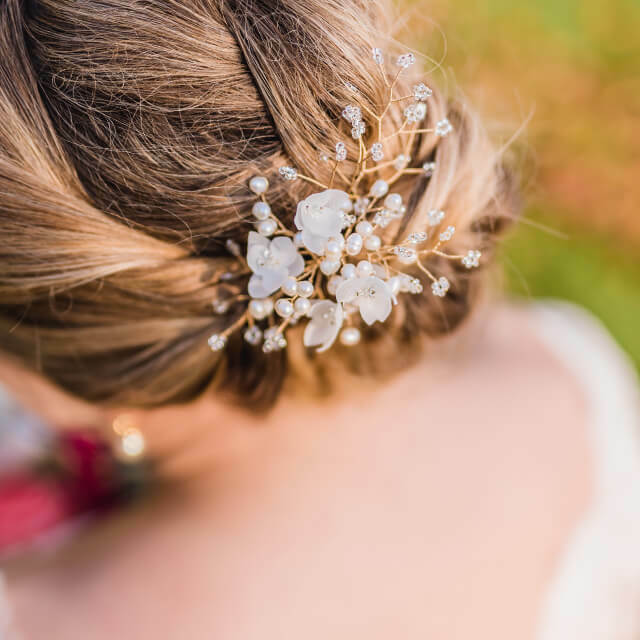 Meanwhile, there is an incredible variety of hair accessories available for the bride, which should be something for every taste. 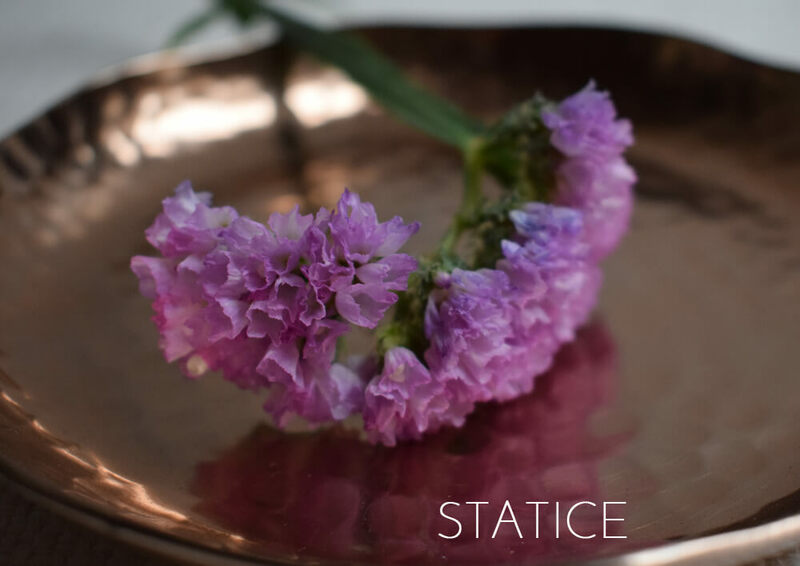 Whether it’s fresh flowers or silk flowers, that’s all about personal taste. 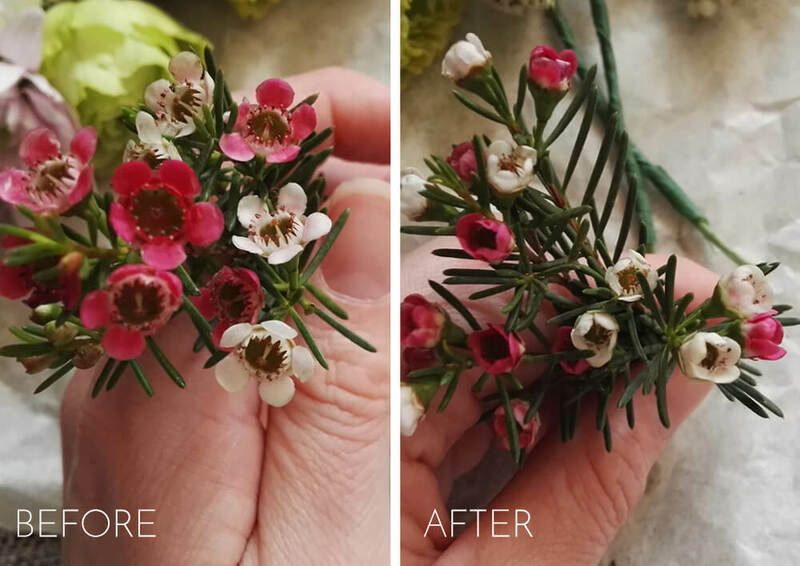 The same applies to a wreath, a hair comb or a hairband or if you prefer single flowers. 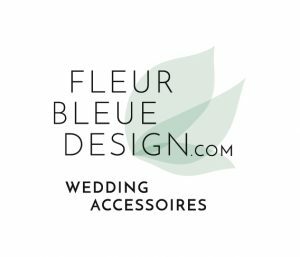 Since 2014 I design and create for my own bridal jewelry label FLEUR BLEUE DESIGN elegant, feminine and romantic wedding hair accessories. Sometimes minimalist and with “clean chic”. Or full with details. 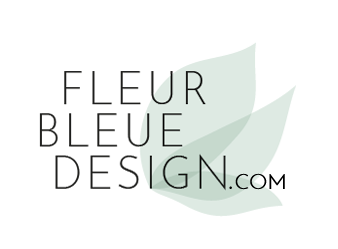 As the brand name suggests, I have a thing for flowers and incorporate them often into my designs. Please let me know if you need further assistance with my hair jewelry. I’m always happy to help. I’m happy to advise you on my hair jewelry. What I need to know about you can be found in my FAQs. Learn more about my second great passion – which accompanied me since teenage days.